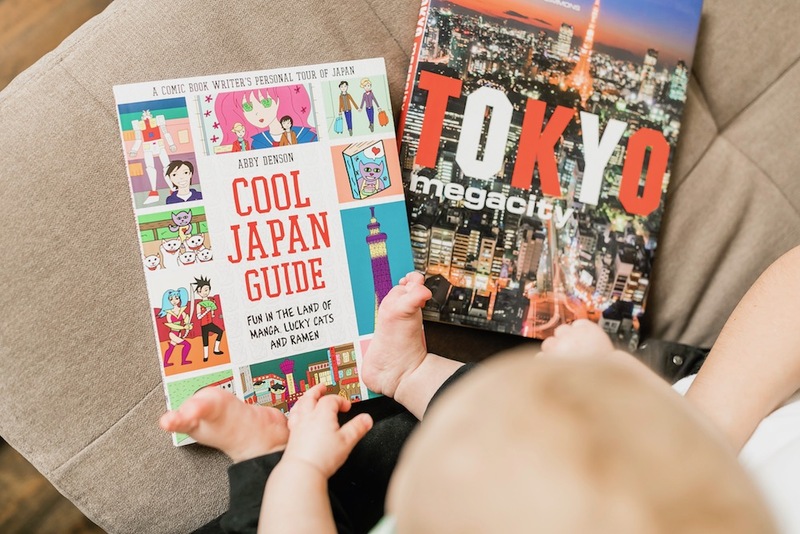 If you follow me on Instagram you probably saw that J and I made a (somewhat) spur of the moment decision to book a trip to Japan… WITH our baby! Calvin will be turning 7 months when we depart (next month), and we couldn’t be more excited. Before you call us crazy, let me explain:We loved traveling to anywhere and everywhere before Calvin was born (California, Hawaii, Canada, Mexico, Italy, France…) but we haven’t gone anywhere since his birth in October. Jordan has ALWAYS wanted to go to Japan (it’s just always been at the top of his bucket list). In fact, I gave J his first coffee table book about Tokyo back in 2012 as a Christmas gift. Anyway, Jordan’s job is very seasonal (he’s a sports broadcaster covering college football and NBA games—so he’s busy nonstop from August to May) and we’ve really enjoyed having trips to look forward to in the “off” season. He doesn’t have weekends off like someone working a traditional job might, so for us, having two or three epic trips a year is a sort of carrot that gets us through the chaotic season! Our plan was initially to wait until Calvin was older to travel, but C’s pediatrician mentioned that kids are at the “perfect” age to travel when they’re portable and not yet mobile (ie: when you can carry them around and they aren’t yet walking). We decided that since Calvin is a VERY relaxed baby, he’s portable, he’s free to fly, and Japan (especially Tokyo) is extremely safe and very clean—we may as well take him with us sooner rather than later! 1. Buying a Travel Sized Stroller! 2. Cheap, disposable onesies for plane and train rides. 3. A good travel changing pad. 4. Talked to our hotels about renting a crib—and getting the dimensions so I can bring our own sheets. 5. Making care packages for people on the airplane. So far, I’m including candy, ear plugs, and a sweet note saying “thank you” for your patience. Have you traveled internationally—or domestically—with a little one?! If you have more tips, I’d love to hear them. This will *certainly* be an adventure.